One of the key benefits of serverless applications is the ease in which they can scale to meet traffic demands or requests, with little to no need for capacity planning. In AWS Lambda, which is the core of the serverless platform at AWS, the unit of scale is a concurrent execution. This refers to the number of executions of your function code that are happening at any given time. Thinking about concurrent executions as a unit of scale is a fairly unique concept. In this post, I dive deeper into this and talk about how you can make use of per function concurrency limits in Lambda. 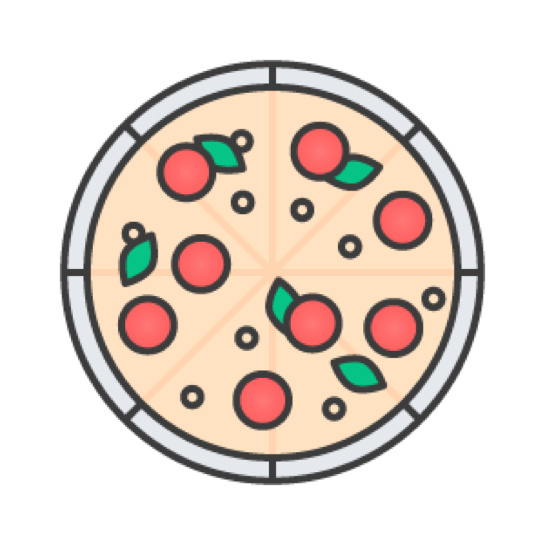 Instead of diving right into the guts of how Lambda works, here’s an appetizing analogy: a magical pizza. It has a fixed maximum number of slices, such as 8. Slices automatically re-appear after they are consumed. When you take a slice from the pizza, it does not re-appear until it has been completely consumed. One person can take multiple slices at a time. You can easily ask to have the number of slices increased, but they remain fixed at any point in time otherwise. Now that the magical pizza’s properties are defined, here’s a hypothetical situation of some friends sharing this pizza. If any of them take too many slices at once, the others may not get as much as they want. If they take too many slices, they might also eat too much and get sick. One particular week, some of the friends are hungrier than the rest, taking two slices at a time instead of just one. If more than two of them try to take two pieces at a time, this can cause contention for pizza slices. Some of them would wait hungry for the slices to re-appear. They could ask for a pizza with more slices, but then run the same risk again later if more hungry friends join than planned for. If the friends agreed to accept a limit for the maximum number of slices they each eat concurrently, both of these issues are avoided. Some could have a maximum of 2 of the 8 slices, or other concurrency limits that were more or less. Just so long as they kept it at or under eight total slices to be eaten at one time. This would keep any from going hungry or eating too much. The six friends can happily enjoy their magical pizza without worry! Concurrency in Lambda actually works similarly to the magical pizza model. Each AWS Account has an overall AccountLimit value that is fixed at any point in time, but can be easily increased as needed, just like the count of slices in the pizza. As of May 2017, the default limit is 1000 “slices” of concurrency per AWS Region. Also like the magical pizza, each concurrency “slice” can only be consumed individually one at a time. After consumption, it becomes available to be consumed again. Services invoking Lambda functions can consume multiple slices of concurrency at the same time, just like the group of friends can take multiple slices of the pizza. One or more of these services could invoke enough functions to consume a majority of the available concurrency capacity. This could cause others to be starved for it, causing failed invocations. A service could consume too much concurrent capacity and cause a downstream service or database to be overwhelmed, which could cause failed executions. For Lambda functions that are launched in a VPC, you have the potential to consume the available IP addresses in a subnet or the maximum number of elastic network interfaces to which your account has access. For more information, see Configuring a Lambda Function to Access Resources in an Amazon VPC. For information about elastic network interface limits, see Network Interfaces section in the Amazon VPC Limits topic. One way to solve both of these problems is applying a concurrency limit to the Lambda functions in an account. You can now set a concurrency limit on individual Lambda functions in an account. The concurrency limit that you set reserves a portion of your account level concurrency for a given function. All of your functions’ concurrent executions count against this account-level limit by default. If you set a concurrency limit for a specific function, then that function’s concurrency limit allocation is deducted from the shared pool and assigned to that specific function. AWS also reserves 100 units of concurrency for all functions that don’t have a specified concurrency limit set. This helps to make sure that future functions have capacity to be consumed. With the 100 reserved for all non-concurrency reserved functions, this totals the account limit of 1000. Here’s how this works. To start, create a basic Lambda function that is invoked via Amazon API Gateway. This Lambda function returns a single “Hello World” statement with an added sleep time between 2 and 5 seconds. The sleep time simulates an API providing some sort of capability that can take a varied amount of time. The goal here is to show how an API that is underloaded can reach its concurrency limit, and what happens when it does. For Name, enter a value (such as concurrencyBlog01). For Role, choose Create new role from template and enter a name aligned with this function, such as concurrencyBlogRole. Under Basic settings, set Timeout to 10 seconds. While this function should only ever take up to 5-6 seconds (with the 5-second max sleep), this gives you a little bit of room if it takes longer. Choose Save at the top right. Enter a name (it doesn’t matter for this example). In the console, choose Test again. Now configure API Gateway so that you have an HTTPS endpoint to test against. In the Lambda console, choose Configuration. Under Triggers, choose API Gateway. Under Configure triggers, leave the default values for API Name and Deployment stage. For Security, choose Open. For generating load in this example, use an open source tool called “hey” (https://github.com/rakyll/hey), which works similarly to ApacheBench (ab). You test from an Amazon EC2 instance running the default Amazon Linux AMI from the EC2 console. 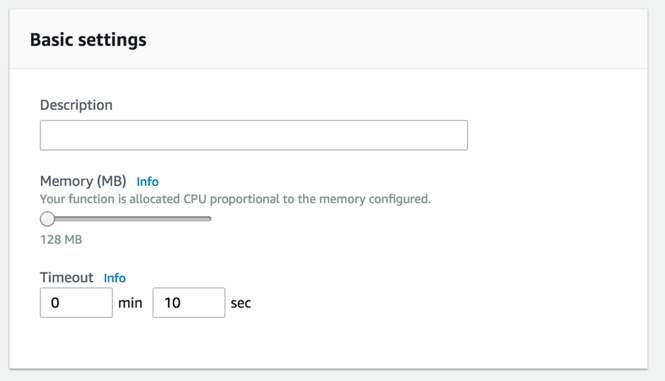 For more help with configuring an EC2 instance, follow the steps in the Launch Instance Wizard. You can see a helpful histogram and latency distribution. Remember that this Lambda function has a random sleep period in it and so isn’t entirely representational of a real-life workload. Those three 502s warrant digging deeper, but could be due to Lambda cold-start timing and the “second” variable being the maximum of 5, causing the Lambda functions to time out. AWS X-Ray and the Amazon CloudWatch logs generated by both API Gateway and Lambda could help you troubleshoot this. Now that you’ve established that you can generate this load against the function, I show you how to limit it and protect a backend resource from being overloaded by all of these requests. In the console, choose Configure. Under Concurrency, for Reserve concurrency, enter 25. Click on Save in the top right corner. Either way, you’ve set the Concurrency Reservation to 25 for this function. This acts as both a limit and a reservation in terms of making sure that you can execute 25 concurrent functions at all times. Going above this results in the throttling of the Lambda function. Depending on the invoking service, throttling can result in a number of different outcomes, as shown in the documentation on Throttling Behavior. This change has also reduced your unreserved account concurrency for other functions by 25. This is great! It means that your throttle is working as configured and you are now protecting your downstream resources from too much load from your Lambda function. This looks fairly different from the last load test run. A large percentage of these requests failed fast due to the concurrency throttle failing them (those with the 0.724 seconds line). The timing shown here in the histogram represents the entire time it took to get a response between the EC2 instance and API Gateway calling Lambda and being rejected. It’s also important to note that this example was configured with an edge-optimized endpoint in API Gateway. You see under Status code distribution that 3076 of the 5000 requests failed with a 502, showing that the backend service from API Gateway and Lambda failed the request. On occasion, due to issues with applications I’ve managed in the past, I’ve had a need to disable a certain function or capability of an application. By setting the concurrency reservation and limit of a Lambda function to zero, you can do just that. With the reservation set to zero every invocation of a Lambda function results in being throttled. You could then work on the related parts of the infrastructure or application that aren’t working, and then reconfigure the concurrency limit to allow invocations again. While I mentioned how you might want to use concurrency limits to control the downstream impact to services or databases that your Lambda function might call, another resource that you might be cautious about is money. Setting the concurrency throttle is another way to help control costs during development and testing of your application. You might want to prevent against a function performing a recursive action too quickly or a development workload generating too high of a concurrency. You might also want to protect development resources connected to this function from generating too much cost, such as APIs that your Lambda function calls. Concurrent executions as a unit of scale are a fairly unique characteristic about Lambda functions. Placing limits on how many concurrency “slices” that your function can consume can prevent a single function from consuming all of the available concurrency in an account. Limits can also prevent a function from overwhelming a backend resource that isn’t as scalable. Unlike monolithic applications or even microservices where there are mixed capabilities in a single service, Lambda functions encourage a sort of “nano-service” of small business logic directly related to the integration model connected to the function. I hope you’ve enjoyed this post and configure your concurrency limits today!